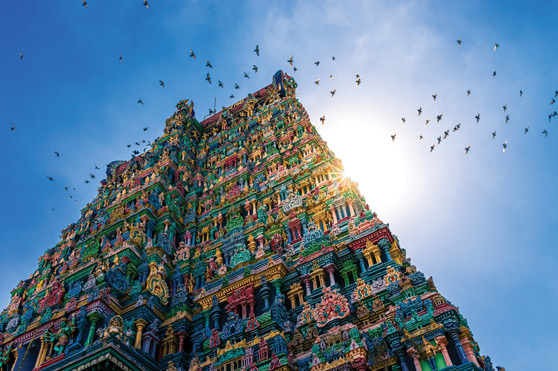 The Marvel Group is synonymous with the best in travel and hospitality services. 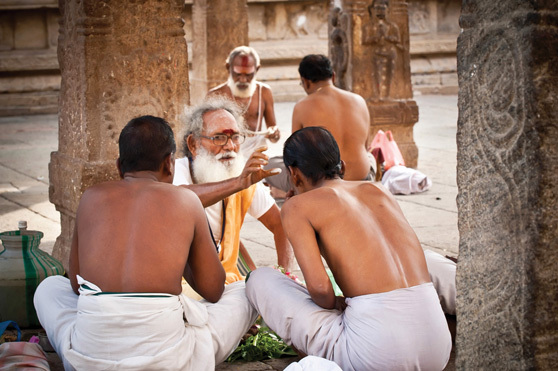 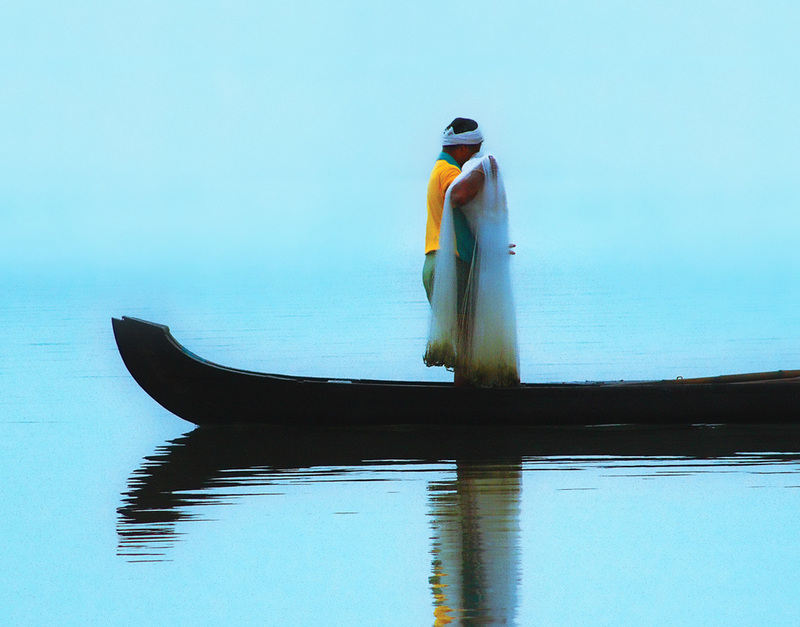 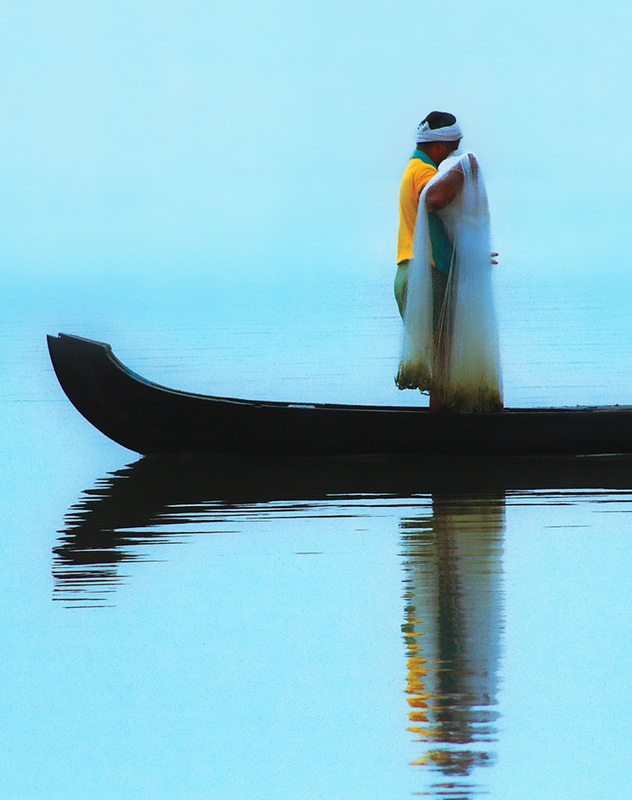 They are widely acknowledged to be the authority on South India and Srilanka. 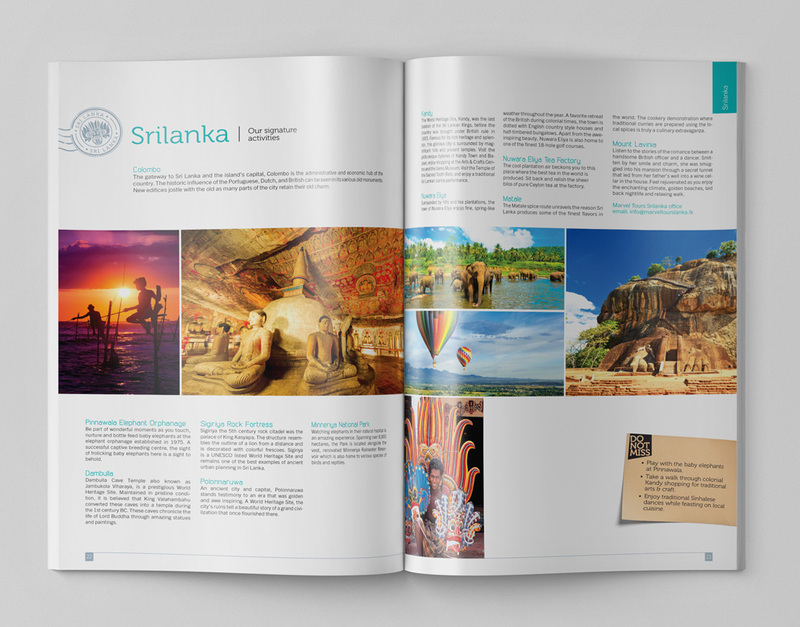 Incorporating the most distinctive and prominent landmarks of the two countries, the image designed for the cover of the brochure illustrates their primary destinations. 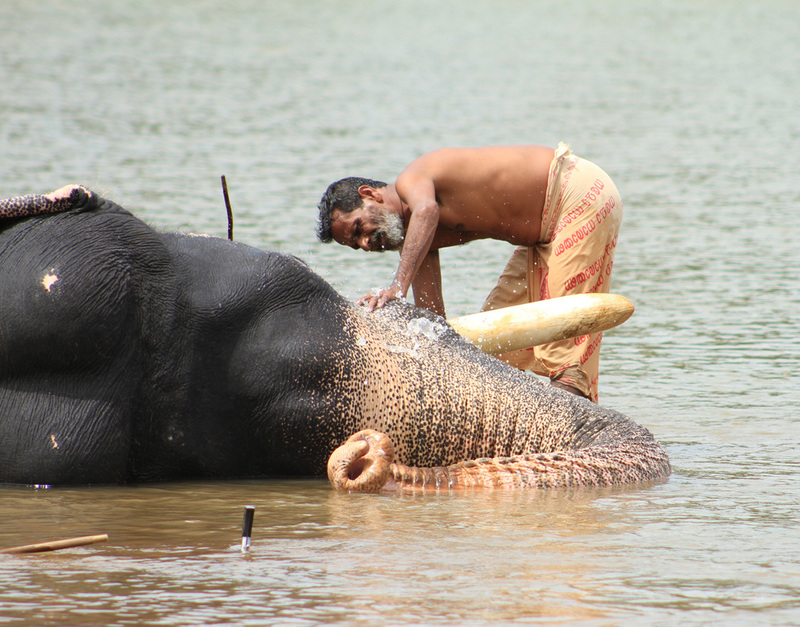 The Gol Gumbaz, located in Bijapur, Karnataka, forms the crown. 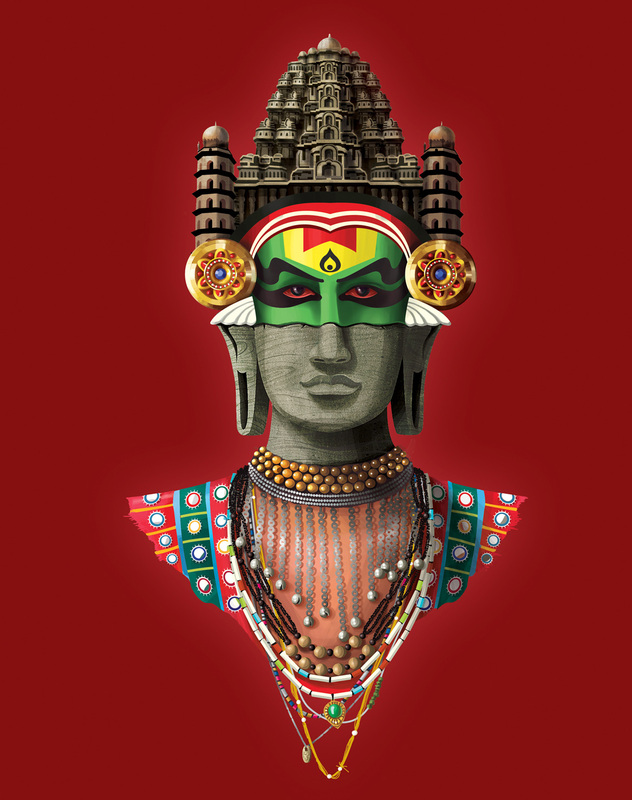 The face is a combination of a Kathakali dancer of Kerala and the gigantic Avukana Buddha statue in Sri Lanka. 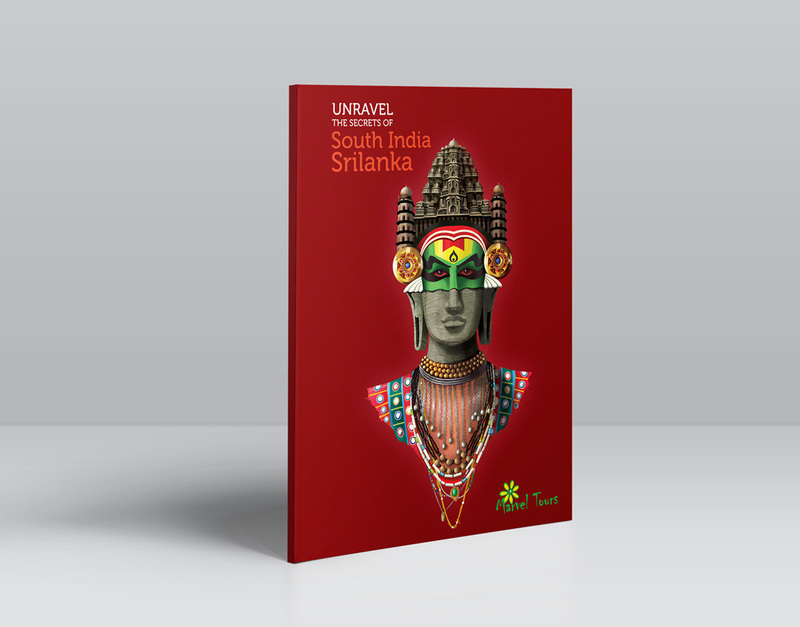 The upper torso reflects the decorative jewellery and costumes, worn by the traditional folk dancers of Sri Lanka. 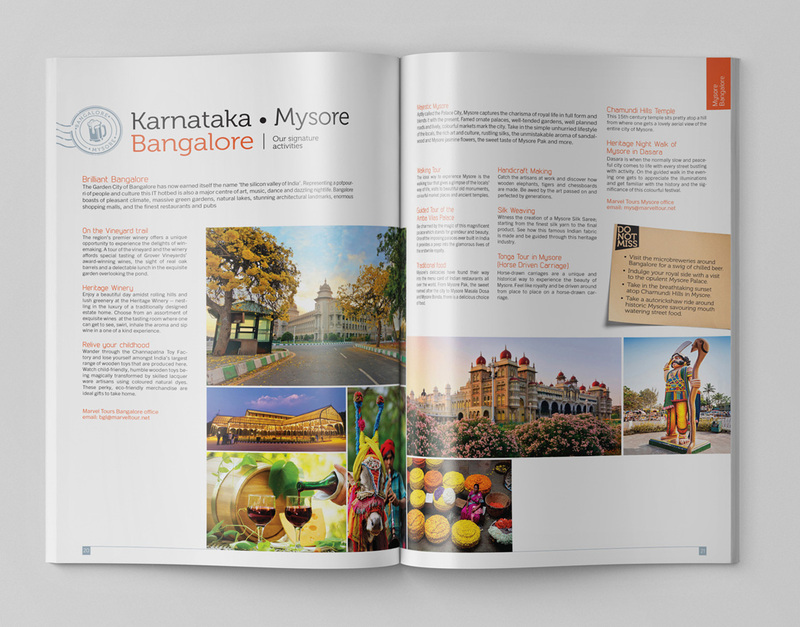 All these elements come together to seamlessly form an eye-catching entry point for the brochure. 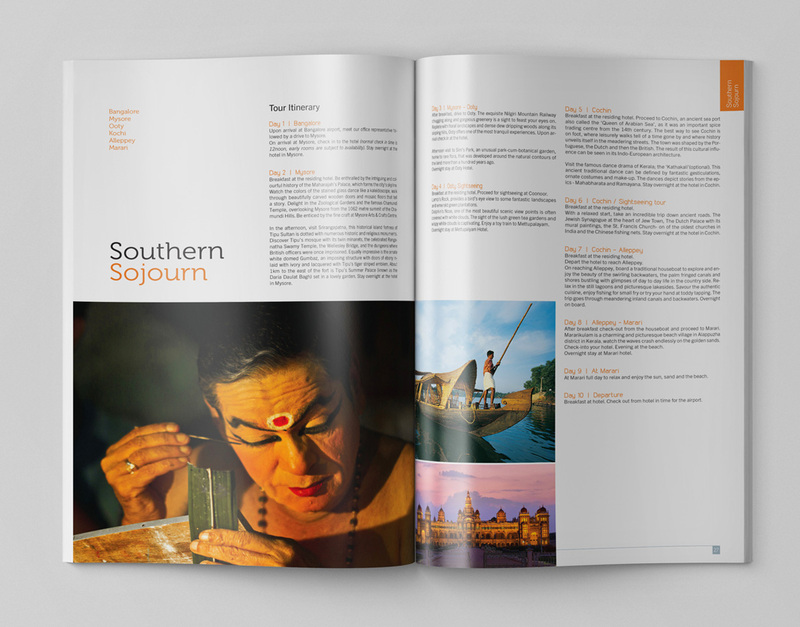 The client wanted us to produce a brochure in a format similar to that of a classy travel magazine. 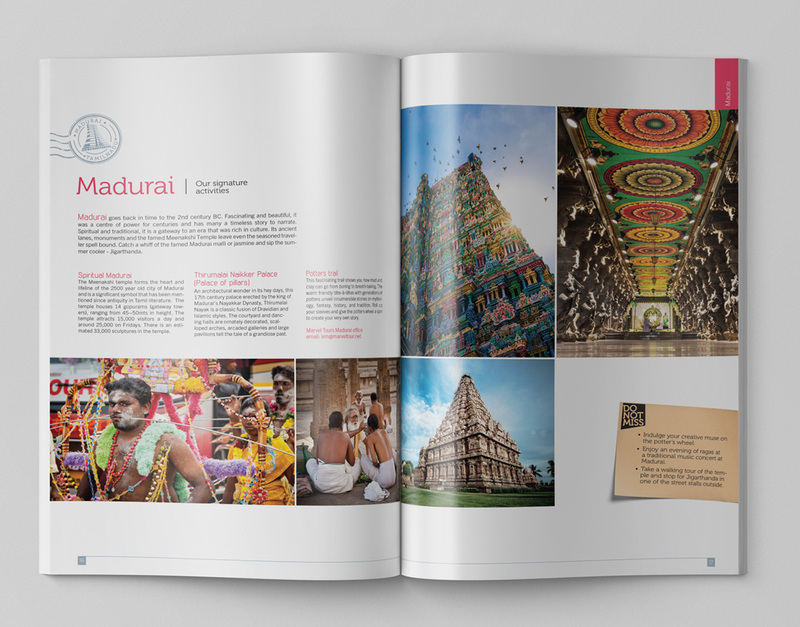 The layout and design for the inside pages pan out in a manner that reflects this look and feel. 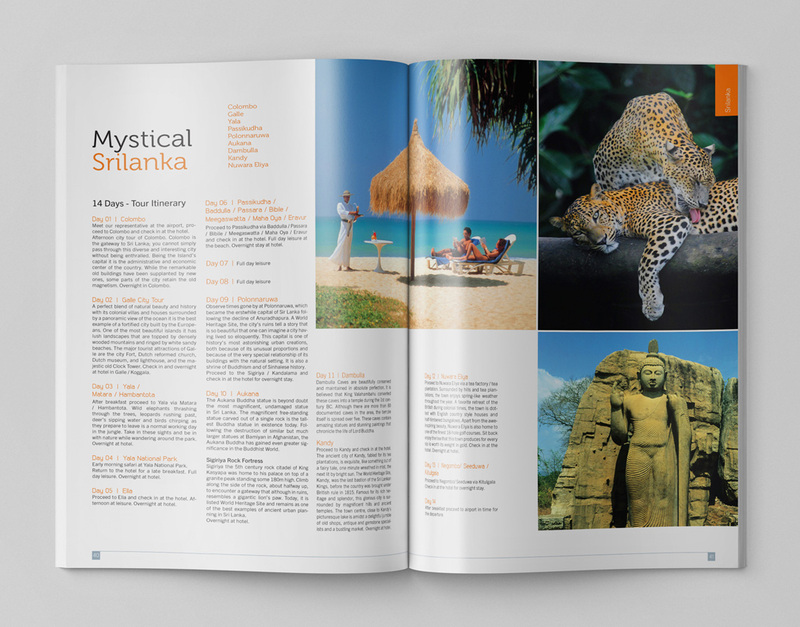 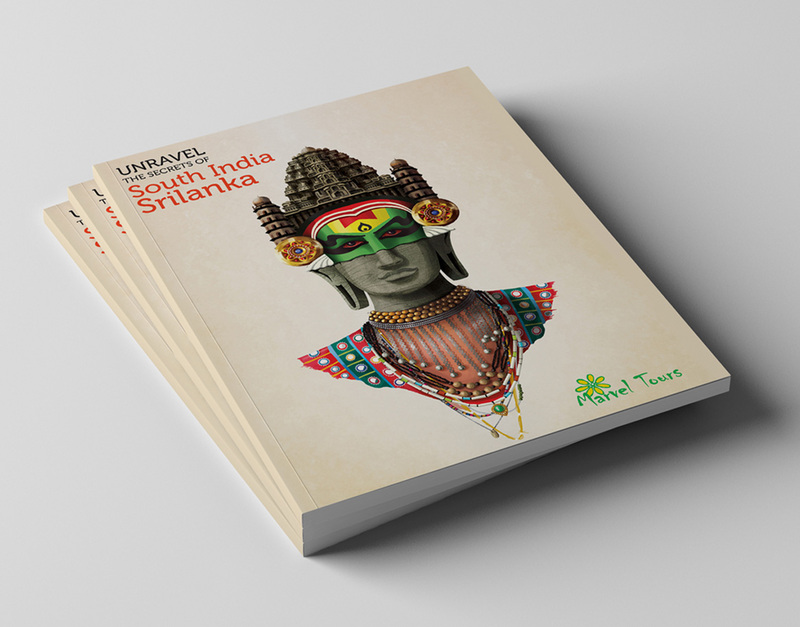 Covering almost 40 pages of travel-related information and interesting images featuring a different destination on each page, this brochure grabs the readers attention and generates a sense of curiosity and adventure.